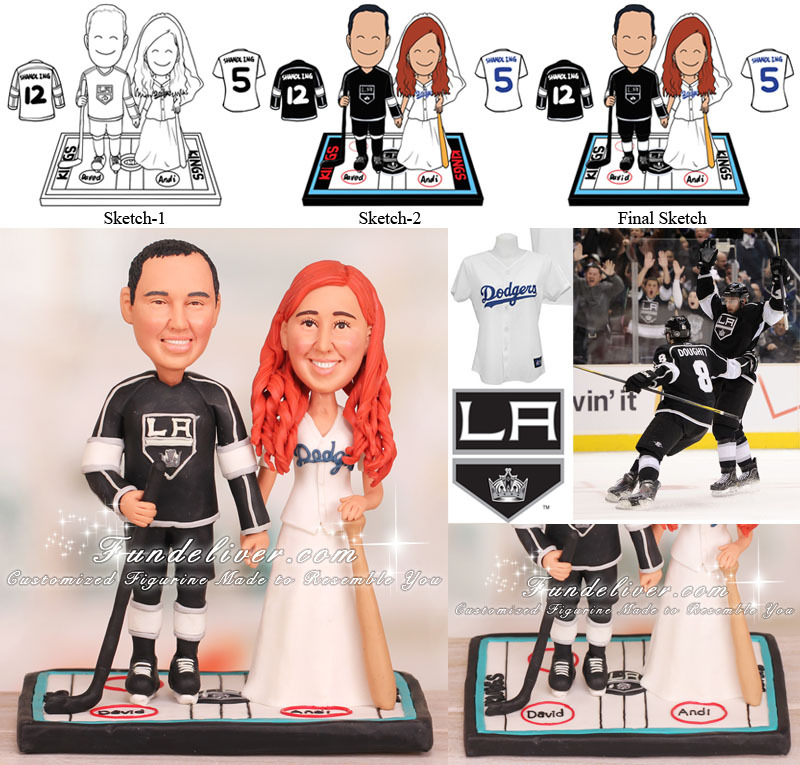 This is a completely customized hockey and baseball theme Kings and Dodgers wedding cake topper ordered by one of our customers. 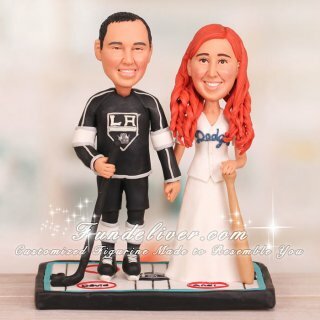 They would like the groom to be wearing the Kings jersey with the same pants as the groom in this Los Angeles Kings cake topper but instead of the purple strip near the bottom of the pants, they would like to make it a white strip near the bottom. On the back of the groom’s jersey, they would like to put SHANDLING and the number 12. Also the groom has a black hockey stick in the outside hand and black shoes with white shoelaces. For the bride, they would like her to be wearing the Dodgers jersey with SHANDLING #5 on the back and leaning on a baseball bat in her outer hand. The bottom half of the bride’s outfit is her wedding dress, simple but elegant. For the base, they would like to have the same rink base as this NHL Montreal Canadiens hockey wedding cake topper, but instead of Canadiens they would like to get Kings on.